Progress reports are coming home and parent-teacher interviews are around the corner. For many parents, this may be the first time they are sitting down with their child’s teacher to discuss his or her academic progress. With class sizes ballooning to upwards of 30 student, most interviews are capped at 10-15 minutes. Even though teachers are always willing to meet with parents before and after school throughout the school year, these ‘office hours’ often conflict with regular working hours. Make the most of your scheduled interview time by using these handy tips at your next parent-teacher interview. With interviews scheduled back-to-back, a few late starts can create a domino effect, throwing off the entire day’s schedule. You may not think think your slight tardiness is a big deal. However, the parent at the end of the night who had to wait 20 minutes to see the teacher, definitely thinks it’s a big deal. Chances are, a teacher will have to take the heat for it. Be respectful to fellow parents and the teacher by arriving early. When the teacher attempts to wrap things up near the 15-minute mark, understand that he or she is simply trying to keep everyone happy by sticking to the schedule. If you’d like to continue to discuss your child’s progress further, be vocal about it. Ask to make another meeting at a time convenient for both of you. If possible, ‘pencil’ it in your calendars right then and there. There’s no reason why a parent couldn’t use the same printout (download it here). As a matter of fact, completing the form will help you focus your conversation when you sit down with the teacher. And, rightly so! Involving your child in the meeting sends a strong message to him or her. It teaches them the importance of self-advocacy and helps build this life-long interpersonal skill. Secondly, they observe their teachers and parents working together, on the same team, all striving to create an safe learning environment for them. Parent-teacher interviews are aptly named: the parents are a critical part of the conference. It should never be a one-way conversation. A parent’s input is a vital component to a successful meeting. Do not hesitate to give your input at any point of the conversation. For example, perhaps the teacher noted that your son is struggling with number sense and numeration, but you have noticed he’s really good with numbers at the grocery store. This information tells the teacher that your son understands real-life problems best. The teacher may then make a note to tailor the number sense unit to include more real-life problem solving for your child. Remember, teachers only see a small portion of the picture. It’s up to you, the parent, to fill in the rest. Don’t know where to start? 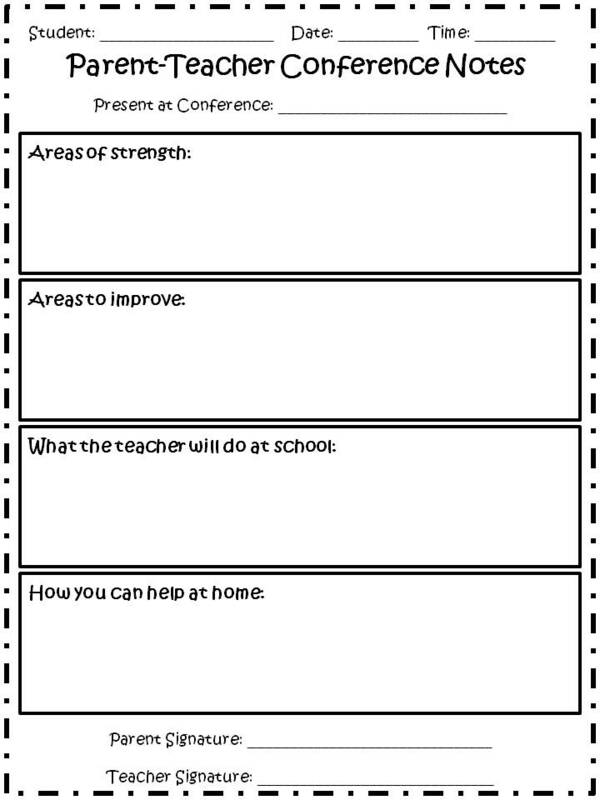 Download our handy Parent-Teacher Conference Question Sheet to get things going! Anjali Joshi is a teacher turned stay-at-home mom who loves writing about her adventures of mommyhood; from tales of terror to lessons of love, she shares the not-so mundane musings of just another stay-at-home mom. What started out as a fun pastime has blossomed into so much more. Now, in addition to her role as the Education Editor and parenting contributor at Masalamommas, she writes for Huffington Post, Bay Area Parent, and her personal blog The Adventures of a New Mom.